← Go vote for America! 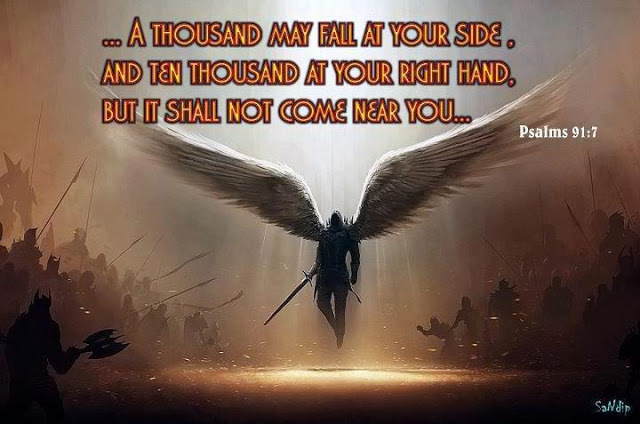 This entry was posted in 2018 midterm elections, Conservatives, conspiracy, Constitution, Culture War, Evil, First Amendment, Liberals/Democrats/Left, social media, tech giants censorship, United States and tagged Facebook censorship, Facebook is evil, Psalm 91:7, warrior angel, WordPress censorship. Bookmark the permalink. Glad your back up Dr Eowyn. On a level playing field, and with a honest media, the mental illness of Liberalism, Bolshevism, Globalism, communism, socialism, loses every time. That’s why (((they))) made sure to buy up thenewspapers,magazines, TV etc at an early stage. FYI – I clicked on the facebook link on this (your) post and it showed on facebook but I could not comment or like it as all post have. But I shared it on my facebook page and it did allow for comments there and you could like it at the bottom also. please subscribe me to FOTM, thank you. Don’t say I didn’t warn you. Stop playing in their playground with their toys. Go offshore, it is the only place any protection for yourself exists anymore. cryptocurrencies will be the only way in the future to avoid the Antichrist controls upon money as well. Iceland and Russia being current good options for hosting. Such childish behavior from the left. I read last week where Twitter had blocked several and that FB had eliminated 800. What do they fear? A fair fight? They have just proven our point that those on the right that have fought for our freedoms are the only ones that should be in charge. We need to swamp the WH with these examples, I have heard Trump is fighting for us. Bless you Dr. For all your hard work. I Know Gateway Pundit often has to fight the same battle. Sad, when the truth is blocked. I quit FB in 2014 and twitter in 2016. Don’t miss either of them AT ALL. Stop wasting your valuable time and information on Facebook and Twitter. I never have joined either one of them and I wish people who have legit complaints against them would just delete them. Where would Facebook and Twitter be if we ALL deleted them. If I can’t directly subscribe to a blog through email then I just move on to some other blog because I refuse to contribute to any social media platform. What jackass names, Facebook and Twitter. Isn’t a Twitter post called a Tweet? Zuckerberg is the perfect stand in for lib men, like during Congress’ asskissing “interrogation”—a beta douche affecting a Victorian woman’s Grecian bend while sitting on a four-inch-thick padded cushion. The devils are after everything. I/we need to stay strong & pray. Never give in. I might not comment as faithfully as some, but FOTM is my primary source of news, along with a very few YouTubers (who have to walk on eggshells and talk in code). Is it overly dramatic to suggest the Apocalypse is underway? There’s certainly been a grand unveiling (of the dark kind) in recent years. Keep the faith. We ARE the resistance. To bastardize an old gem: Right makes might! I’ve noticed the people who post on YouTube have started to switch to other providers to post their videos (D-Tube,Bit Chute,Real Video),maybe one of those could be of use. Not being at all tech-savvy,I don’t know if the two mediums could co-exist,but I have to say they have the right idea. It’d probably be necessary to do multiple-posting for a while,but at least if things get TOO oppressive you’d have an up-n-running back up to go to. How SHOCKING! Leftist DUPLICITY on the eve of the midterms!? NO! Glad I don’t do social media at all, and I’ll never understand how people can’t bookmark a site once they discover it and like it to the point they’ll be back again & again, going to it directly instead of through FB. In watching this it seems like in past years they tried to deny that they lied and cheated. Now they seem proud of it. The majority of them make absolutely no excuses for cheating. It’s “expected”. Thank you, Dr. Eowyn, for your faithfulness to the cause of Jesus Christ. May we all keep the faith and stand firm in the face of evil. Fakebook? I might even look at it sometime if they paid me. I do love searching for my name and finding absolutely nothing in multiple search engines not named Google. My brother checks on Google and he finds nothing there either. It is fun to mock those who can’t compute without an eye over their shoulder but I will refrain from that here.